Spicy salsa, grated cheese and chopped onion make a fiesta out of refried beans. Muy bueno! 1. 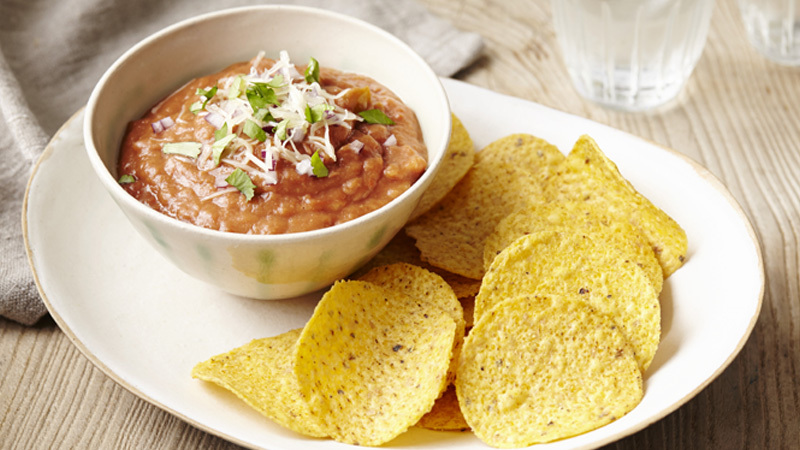 Combine the refried beans and salsa in a medium saucepan. Cook over a medium heat until piping hot, stirring occasionally. 2. Transfer to a heatproof serving dish and top with the cheese, onion and coriander. 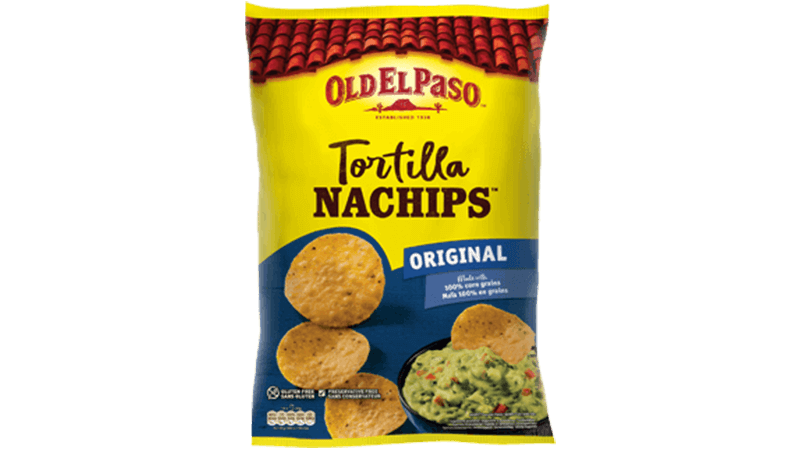 Serve with Nachips™. Add some finely chopped red or green chilli for extra heat. Replace the Cheddar with crumbled feta or creamy goats’ cheese for a tangier topping.